You’re playing a cash game, seated under the gun. 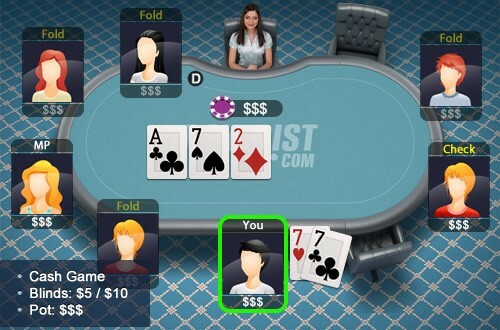 It is a 5/10 NLHE game, you have a pair of sevens and open the action to $35. You get two callers one from middle position and the other from the big blind. The flop is A72 rainbow. The big blind checks to you.